This morning, I set out a few minutes after 5 AM. Mission: complete 9 miles! I came up with a modified version of my old long run from the Summer…down to the Downtown Mall, UVA, Barracks Road and back to the condo – no big deal. The first few miles were great, easy pace, fantastic temps out (probably in the 50’s!) 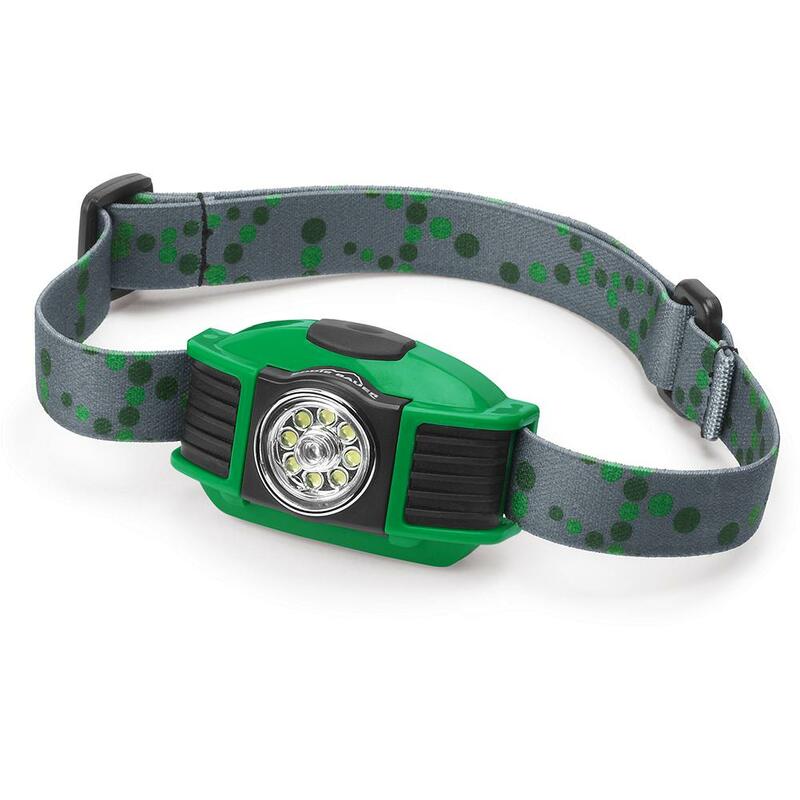 and although it was a bit dark, my trusty headlamp was guiding the way…. Um, said cone was there to warn. Warn that there was a hole. This darn hole was like 6-8 inches deep. Just cut out. I fell in, face first, scraped my hands, semi-twisted down and on both knees. I skinned both but what hurt most, at that moment, was my pride. Skinned knees are the new fad right? I stood up, whimpering a bit, and assessed the damage. 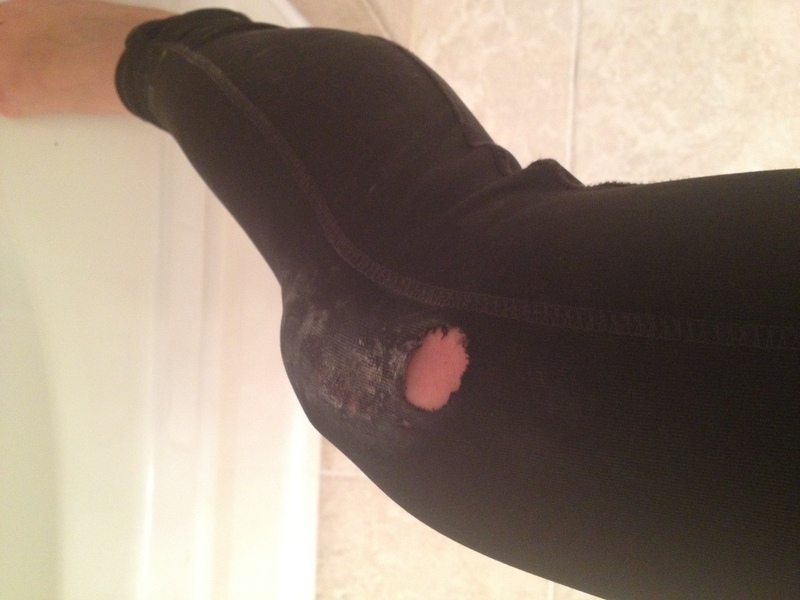 Holes in both knees of my semi-new running tights. Wonky semi-limp. Quickened pulse. 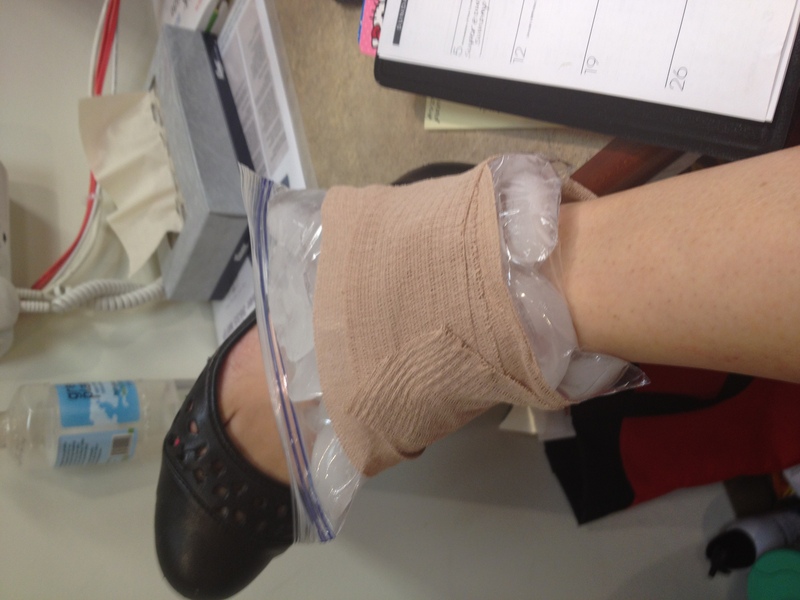 I called hubs to let him know so he wouldn’t be worried – I was planning on walking home. He corrected me, said he’d be right there to pick me up. I took a deep breath and started hobbling down the road to find a well-lit place to wait and attempted to stow my cellphone back away and by mistake, called my mom! (Good thing she is still in the same time zone right now!) So, we chatted for a few minutes until hubs came to pick me up and I carried on my morning routine…I have to say it was pretty fun pulling the tights off the dried bloody knees when I got home! NOT. So yes, my Daily Mile update was a little dramatic, but you know what, that’s how I felt then (and kinda still feel now!) I felt tough but also shaken to the point that I had to remind myself that safety is always number one!! I’ll have to reassess as these longer midday runs appear on my schedule as we draw nearer to Shamrock. 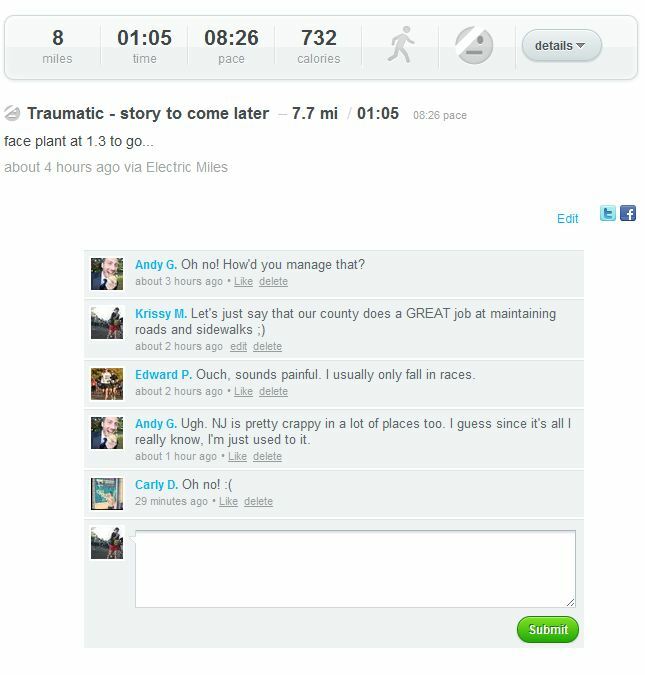 Any fun running catastrophes to share? I have to admit, I am such a klutz that really, you could say I am just using running as an excuse for this latest escapade but y’know…. Hey Lizzie! Yes! I want to run with you! The idea to run all the way down there came to me this morning so it was kinda late but it would def be nice to have a buddy. I should drive down there instead…haha. I hope you’re OK. I’ve taken several falls over the years. My fall from my race a month ago is still having its effects on me — it’s like a minor car wreck that takes a while to get over. Thanks David! I am feeling better but definitely taking the next two days off running. Hope to make it to yoga tmrw. Man between the two of us, we’ve covered a lot of ground…with our FACES! Seems like your f-plant was way worse than mine. Wishing you a speedy recovery, roomie! Hi, Krissy! Found your blog by accident–I’m here in Charlottesville, too, so I know exactly where you were when you fell! So sorry that happened–what a bummer! Thanks for the comment, I look forward to checking out your blog!! I have fallen (quite a bit) on some of my runs…mostly when I am doing trail races. It never fails that I bite it (and usually pretty hard) at least once during the race. The funny part is that it’s never at a technical part. I think that when I’m running over technical terrain, I’m SO focused. But when it’s just dirt and a few branches, I zone out, and WHAM! LOL. Oh my gosh! I hope you heal up quick and your ankle is just a little tweaked from the fall, and is nothing serious! I have actually never fallen (why did I just type that?). I have almost fallen off of the treadmill though! My ankle feels way better today (thank goodness!) though I will definitely not run until Saturday. Hope to get in a yoga class tonite.